Mid-size firms looking for best in class legal management solutions at a low cost of entry. 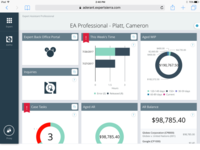 Expert Sierra is the most comprehensive end-to-end legal cloud solution for the mid-size firm (15-150 users) helping you manage your practice and firm. Cut the cord on multiple systems. Work cases, review and edit documents, track and bill time, shorten the WIP to cash cycle with a complete financial solution and so much more. All from one robust solution anytime, anywhere from any device. 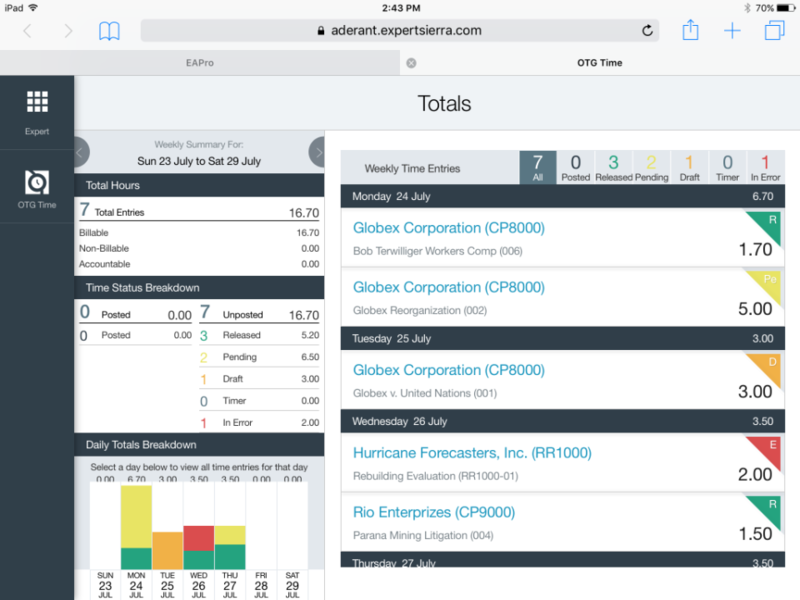 Meet Expert Sierra- Aderant's legal management cloud solution. 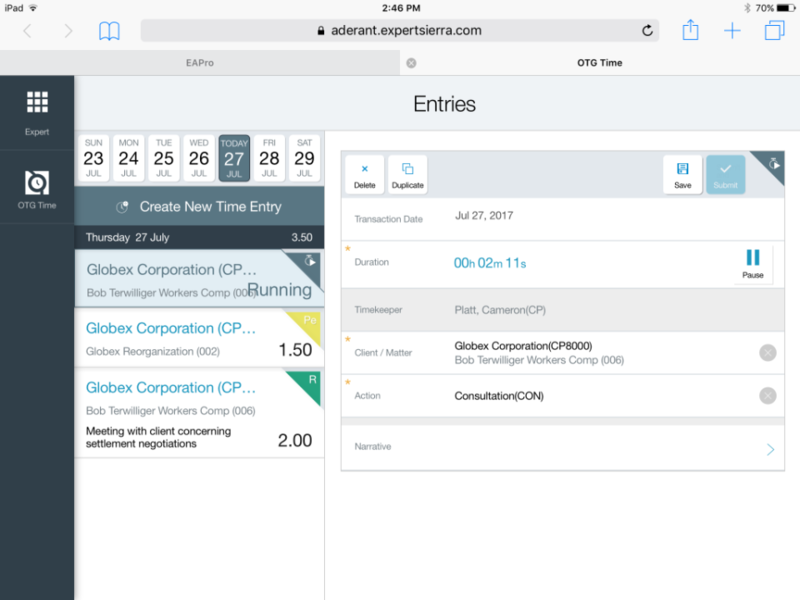 Aderant Expert Sierra Reviews Recently Reviewed! Pros: The software is relatively easy to use and intuitive and best of all new. :) The team support was awesome. The people that we worked with seemed very pleasant and knowledgeable. Cons: It doesn't like dual screens. Sometimes it has little quirks that you discover, that maybe should have been plain in the beginning. Clearing the cache files, what postings are final and how they post, iManage integration, check printing. The reports, there are more options in the system that I can see and we don't seem to have access to those. Some of the training is not exactly what we use or what we have access too. Not consistent with every user (i.e. I see things on my screen a certain way and the user that sits beside me is different). Overall: We are solving a very outdated accounting software issue. It has been a little bit of a learning curve, but overall, wonderful experience. I think training could be better suited if someone was actually here during the day to day things. Maybe offer training in your package after all the kinks are fixed in the initial push. In other words, after we have had a chance to use it for a while. In the beginning when you are training on a new system, and you are implementing changes, you don't know if it's working or not working because you are doing something wrong, or if it is just a system issue. After you work all that out and you get into your own paces of doing your job, at that point you should have in depth training. Because that is when the questions really arise. Pros: The software makes the entire billing process streamlined. The entire AR module allows for ease deposits and adjusting of client accounts. 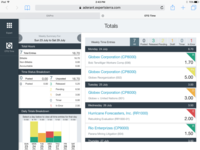 The Reporting is easy to customize and very comprehensive. Cons: With any software, the setup was intense. I wish part of the training was in person and not all videos. Overall: Reps and the entire Support Group have been extremely helpful. They would respond immediately to all my issues or questions. They were organized and kept me on task in getting the entire software implemented. We appreciate your feedback and are glad to hear your firm is having success with Expert Sierra. With regard to your desire for more personal training, we are happy to announce we host live and interactive, topic-specific user training every week for our clients. Please look for the invitations to attend. Pros: This software is extremely robust with all its available features. One of the more impressive feats accomplished with Aderant Expert Sierra is the almost seamless task flow among the individual applications which creates a highly synchronous task flow and more efficient back and front office suite. Cons: Aderant Expert Sierra was a behemoth upon first glance, however, after reviewing the course materials and discussions with the developers and project coordinators, the new software became much more manageable. I think the biggest obstacle to overcome when transitioning into Aderant Expert Sierra is that it is so new and fresh compared to its predecessors. Overall: During the transition into Aderant Expert Sierra we have found that we have so many new opportunities in how to qualify and quantify our work's data and this is extremely important for a growing business. We have had the opportunity to work with devoted project managers, developers, and representatives throughout this transition and from this, it is clear that Aderant, as a whole, is committed to providing an excellent customer and client experience. 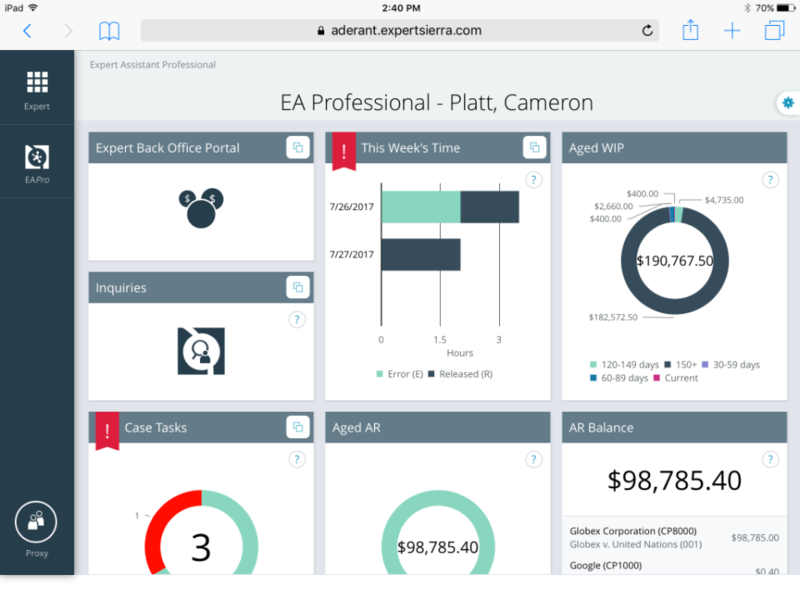 Pros: Aderant Expert Sierra has revolutionized the way our attorneys have been able to bill. 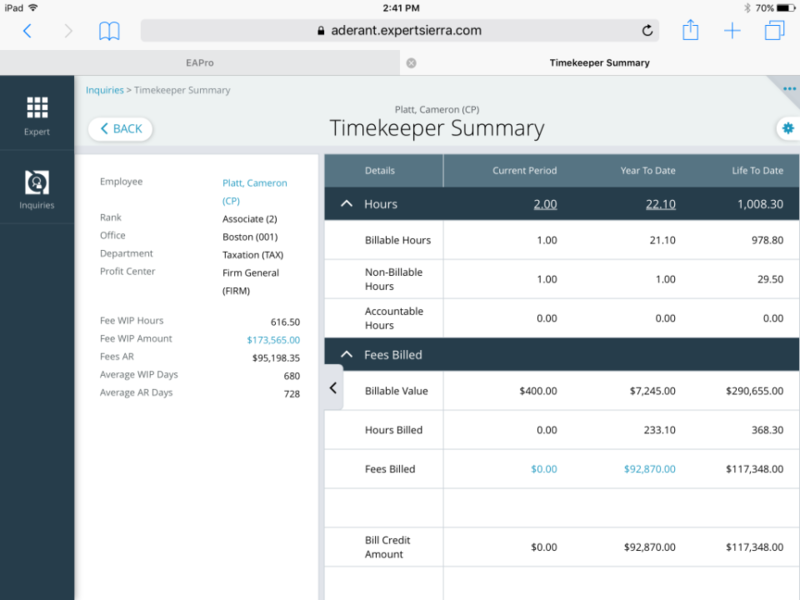 The ability to bill in the office and on the road has really changed things for our firm. The clean interface and user friendly application have simplified the process and allowed our users more time to focus on their cases. Cons: Backend features and settings configuration can be challenging at first. 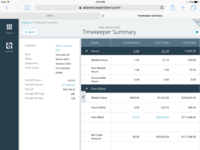 Pros: Greater functionality in financial and time keeping applications. Cons: Training sessions being online only. It would be better to have training sessions with a person. Overall: The experience was somewhat rough at the onset of the "go live" launch. Improvement over time using the program and becoming more familiar with the product.